A year ago, I began the culinary adventure of blogging for ElectriChef Electric Grills. The time has flown by but with each passing month, my understanding of the electric grilling process has grown. It has led me to explore grilling recipes from prime rib, to duck, pizza, and now to smoked mahi-mahi all on an electric grill. I have found each recipe I have created for the ElectriChef grill requires less “flavoring” ingredients than your charcoal and gas grills. Electric grilling allows the home or master griller in the family to create natural and clean flavor in anything they put on the grill. This was the inspiration for my first blog about enhancing the natural flavors in your grilled food. 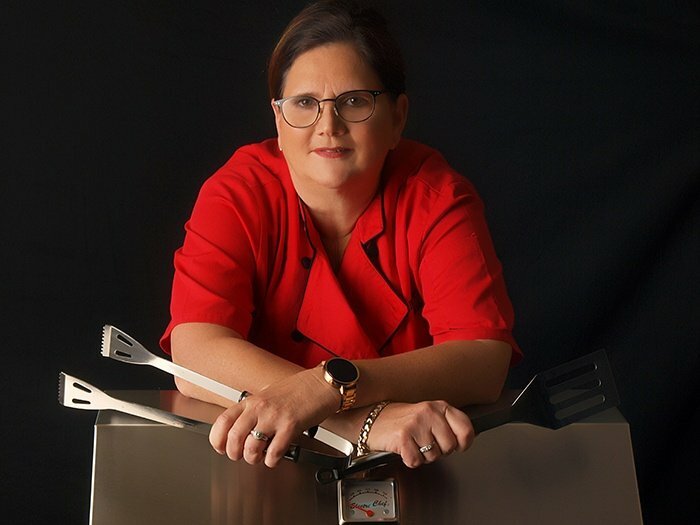 When you start with the finest ingredients on an electric grill, instead of masking the flavor with heavy marinades and seasoning, you end with a grill that brings out the natural flavors. 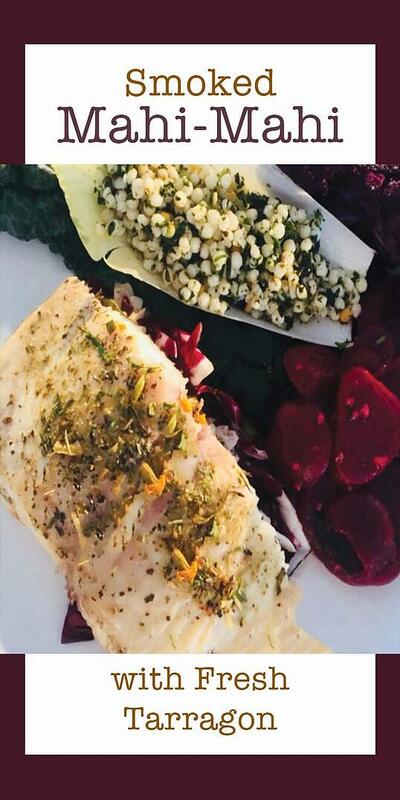 This is exactly why my smoked Mahi-Mahi with Fresh Tarragon, shown below, only has six ingredients. As I grow as a Chef (and believe me, anyone in the culinary industry knows, we all have room to grow), I realize the main focus of a dish, when purchased at its peak freshness, needs less seasoning on the ElectriChef grill. The saying, ‘work smarter not harder,” is my one year lesson I learned from these recipes and grill. My blogging anniversary coincided this year with the country’s largest outdoor arts festival, The 55th Coconut Grove Arts Festival (CGAF). 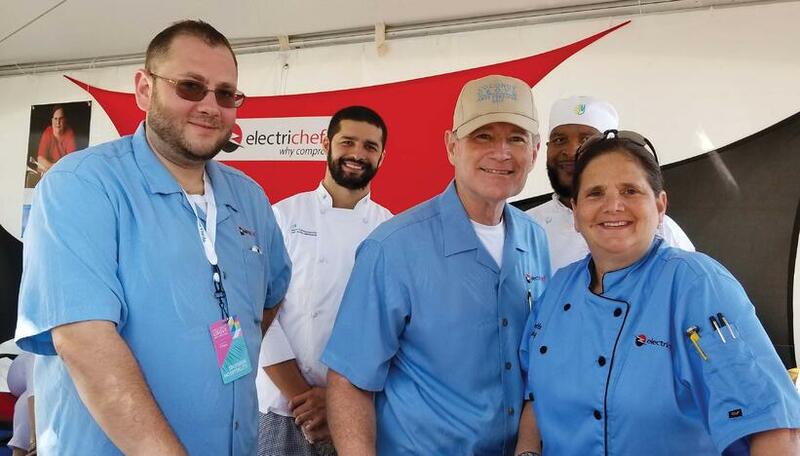 The CGAF Culinary Arts Pavilion was proudly sponsored by ElectriChef and included “live” chef demos from various Southern Florida Chefs. 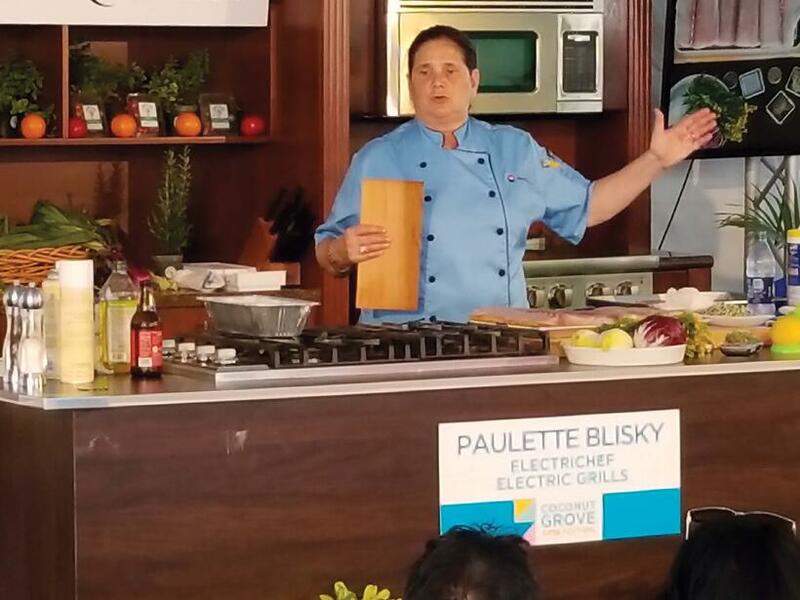 As I prepared for my grilling demo to showcase the ElectriChef grill on stage, I was overwhelmed by the record support and size of the audience. Bill and Clydette Jones, owners of ElectriChef, were also in attendance. When I told them of my plan to grill mahi-mahi on a cedar plank on stage, they asked if I had ever done that before, simple answer: no. The reason I always “live” demo a new recipe is because I have confidence in the electric grill. It is almost impossible to NOT have an amazing grilling result with their ElectriChef grill. As expected, the demo went great and the audience enjoyed learning about cedar plank grilling. I was thrilled to introduce a locally sourced herb that most people were not aware of - fresh tarragon courtesy of Michael Borek Farms. I knew my grilled mahi-mahi would be a crowd favorite with 6 easily accessible ingredients, 12-15 minutes grill time, and a final product that was nutritious and delicious. How do you prevent your fish from sticking? How do you prepare the cedar plank? What kind of fish is mahi? How do you know when the fish is cooked? Where can you buy cedar planks? Be on the lookout for blogs answering the above questions. In the meantime, if you have a question or cannot find the answers to your questions, please send a message below. As great as it was showcasing this recipe on stage I want you to be able to serve this dish at home in your backyard with family and friends. Check out my Cedar Plank Salmon recipe to learn more about cedar planks and the six needed ingredients. NOTE: The cedar plank has been burning! Do not place on any surface other than a sheet pan. The plank will continue to burn…use caution. Enjoy your smoked Mahi-Mahi served with a side of grilled salad or grilled zucchini! What’s Next? 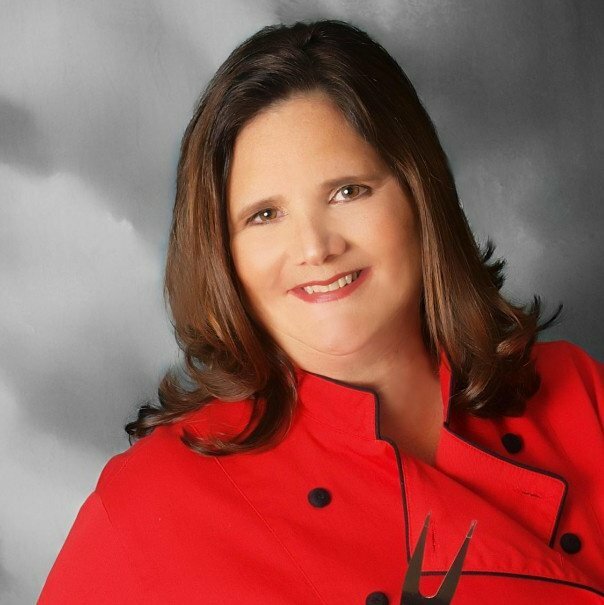 For more delicious recipes created by Chef Paulette check out our Grill Recipe page and while you are their go ahead and subscribe to the blogs so you won’t miss another one!